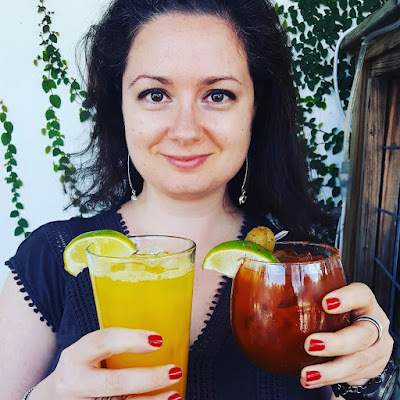 Mango & Tomato: BONUS Eight Days of Hanukkah Giveaway :) $25 Whole Foods Gift Card! 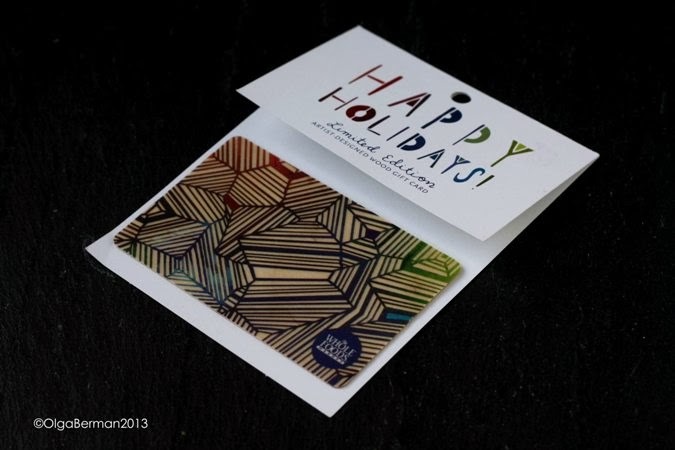 BONUS Eight Days of Hanukkah Giveaway :) $25 Whole Foods Gift Card! I tricked you all! I made it sound like yesterday's post was the last one in the Eight Days of Hanukkah Giveaway posts, but it wasn't!! You have one more chance to win a fun gift. This one is a $25 gift card from Whole Foods! This card is limited edition, and not only is it really pretty, but it's made from sustainably harvested birch wood. Did you know birches are some of my favorite trees? They remind me of growing up in Russia. This is a season of getting together with friends and family, hosting parties, and being invited to friends' houses. I thought it'd be fun to discuss what you can get with $25 at Whole Foods as a hostess gift! Or, you can do a Morning After gift: something your hosts can use after throwing a party. 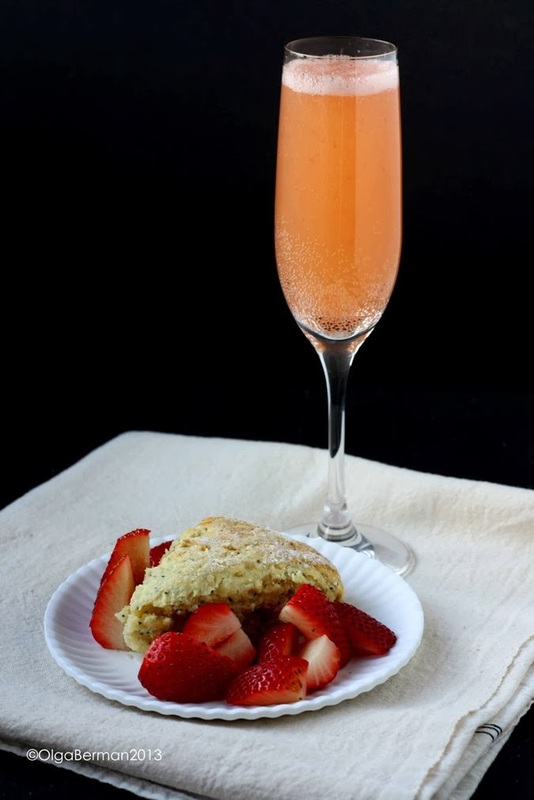 Who would not love a mimosa with fresh fruit and piping hot scones? 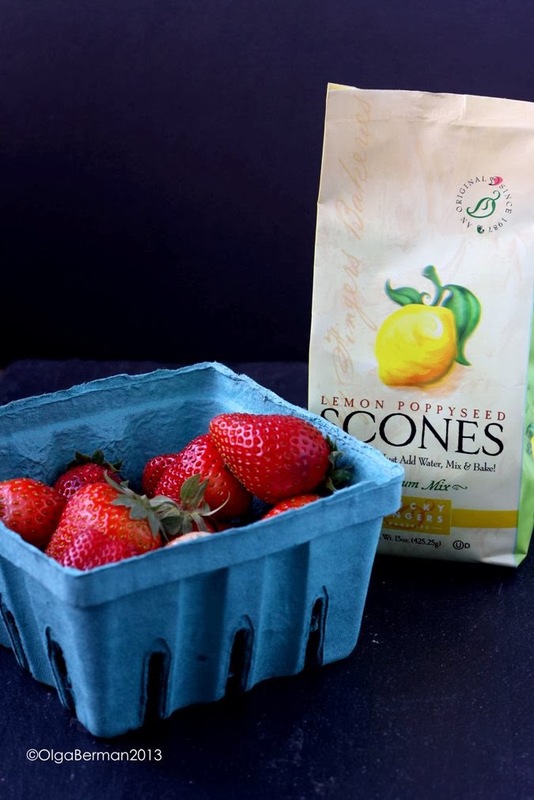 All you need is a bottle of sparkling wine, a bottle of juice, a scone mix and a container of fresh fruit. 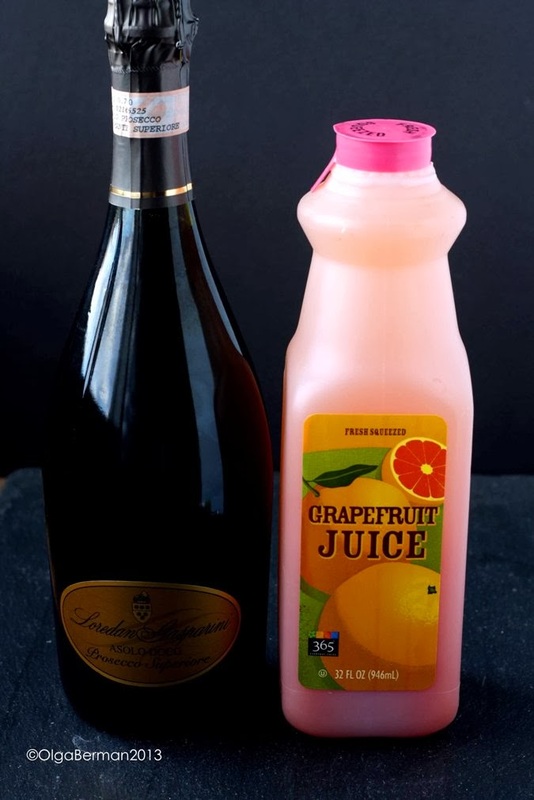 I decided to buy a bottle of prosecco, freshly squeezed grapefruit juice, a mix of lemon poppy scones (it only requires you to add water! ), and a container of sweet strawberries. I know what you are thinking: it's winter and not strawberry season, but the berries were super sweet. And now for your chance to win a $25 gift card to Whole Foods! 1) You must ♥ gift cards!! 2) You must have a legal US address. Disclosure: I received a $25 Whole Foods gift card, and the company is providing the same to one winner of this giveaway. I have received no monetary compensation. All opinions are my own. Wine. I have become a wine squirrel and I can't stop hoarding. I do a ton of shopping at Whole Foods and love their affordable wine selection and amazing cheese selection, so I'd probably get wine and cheese and some fresh bread. I would buy some wine and some milk! I would buy cookies from their bakery. I would buy lots of fresh produce and meat - two of my favorite sections of Whole Foods! That looks delicious! Love their 365 brand produce. Wine, olives, cheese, bread. I would buy juice cleanse. I actually love their cold press juices... but let's be real, I'd buy some cheese! I'd buy organically grown fruit to have in nice bowls for the holidays - I've seen beautiful persimmons, raspberries, satsumas, on and on!!! Whole wheat pitas (only place I can get such simple bread products! ), grass-fed beef and organic fruits and veggies! Ooh...I think I'd splurge on some tasty cheese & olives for a snack night! Oh my gosh, it would all get spent on organic fruit, haha. I'd spend the money on the amazing fruits and vegetables available at Whole Foods - always a great selection and fresh! I would buy fresh produce and yogurt! I would buy some kale chips and stock up on some cans of coconut milk!